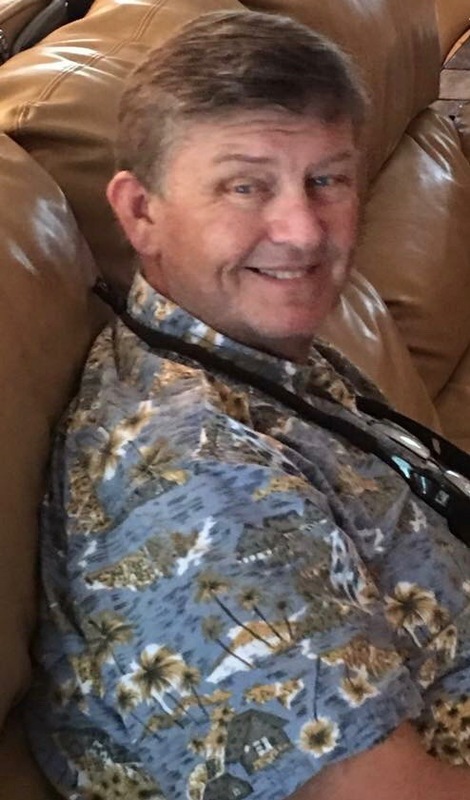 James Darrell “Jim” Reeves, 58, of Fleming Island, FL passed away Friday, October 12, 2018, surrounded by his loving family. Jim was born in Enid, Oklahoma to James Reeves and the late Marlean Reeves. Jim relocated to Northern Florida in 1994 from Benicia, California. He started his career at The Mare Island Naval Shipyard transferring to Fleet Readiness Center Southeast (FRCSE), at NAS Jax, formerly NAS JAX Depot. Jim was highly respected for his patient nature and willingness to share his knowledge. He was promoted to Aircraft Overhaul and Repair Supervisor at shop 62632. He devoted 37 years of hard working, loyal service. Jim was an adventurous outdoorsman. He enjoyed fishing and even handmade custom fishing rods. It was an outlet for his creativity and helped him relax and rest his mind. He was an excellent marksman and even won a California state championship. Camping trips in the Northern California National Forests was also a favorite thing of Jim’s. He enjoyed boating and swimming. He swam competitively in high school and also taught his children to be strong swimmers. Jim was very handy and completed many projects at home, including remodeling his kitchen and bathrooms. He was never afraid of putting himself in harms way for others; always doing the right thing by helping them. Most importantly, Jim loved his family. He was a loving and devoted husband to Wendie and a proud father and grandfather (Papa). Jim is preceded in death by his mother, Marlean Reeves and his brother-in-law, Mike Lecair. He is survived by his wife of 36 years, Wendie Reeves; one son, James Reeves; one daughter, Katlin Laming and son-in-law Devin; his father, James Reeves and wife Louise; one brother, Michael Reeves; one sister, Laura Lecair; and the light of his life, grandson, Sequoia. A memorial service will be held in California at a later date. In lieu of flowers, the family requests donations be made in Jim’s memory to Community Hospice, https://www.communityhospice.com/give/.